Precision machined to the closest tolerances from the highest quality steels, this premier quality, self-centering scrolling chuck allows you to attach and detach your turnings without leaving unsightly screw holes or having to glue scrap blocks to them that can be difficult to remove. A quick turn of the geared, T-Handled Wrench moves all four jaws smoothly and in unison to grasp your workpiece firmly. Other chucks use jaw profiles that are engineered to grasp hard materials such as steel or rounded profiles... and often crush the wood fibers without digging in to hold the stock securely. The unique Nova dovetail jaw profile, however, is carefully designed to hold the wood firmly without crushing it. You can count on a secure hold, whether you're gripping end grain or side grain... and feel confident that your gripping pressure will be spread over a wide area, helping to prevent damage to your workpieces. The 1.889" long by 0.507" diameter screw offers a deep, fine thread that is precision machined all the way to the end of the screw, allowing it to lead easily into a 9/32" diameter pilot hole in soft woods (5/16" for hardwoods) and grip tightly. 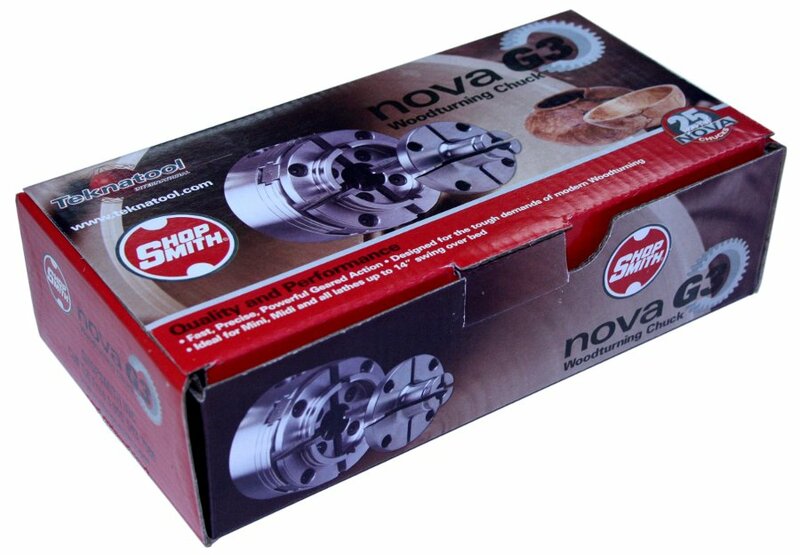 It features a square shank and locating groove that locks positively into the Nova chuck body. The Insert Adapter is also precision machined to close tolerances from high strength carbon steel. 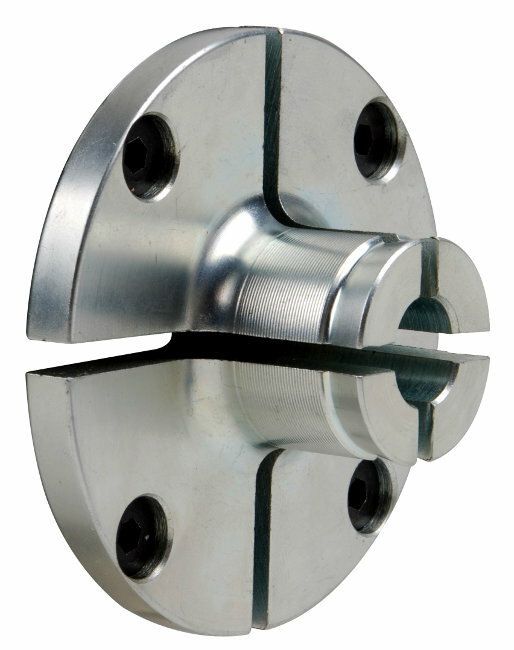 It features a wide mounting face to eliminate wobble and is designed specifically for attachment to the 5/8" diameter Shopsmith spindle. This jaw set is designed to expand into a pre-bored hole in your workpiece. This makes it the ideal choice for turning bowls with free form edges. However, unlike pin chucks, which typically only work in a single sized hole, these jaws will grip a range of different hole sizes, so you won't have to bore an exact sized mounting hole with this set. The long jaws can be used to provide a powerful, more stable external (contraction) grip when turning miniature or smaller diameter spindles... or for those times when you need to use an internal (expansion) grip on smaller diameter bowls, turned boxes and similar projects. It's included with your G3 purchase ! G3 2.008" 2.835" 1.220" 2.047" 1.654" 2.520"
A Top-Quality, Highly Versatile Lathe Chuck System at a Great Value !